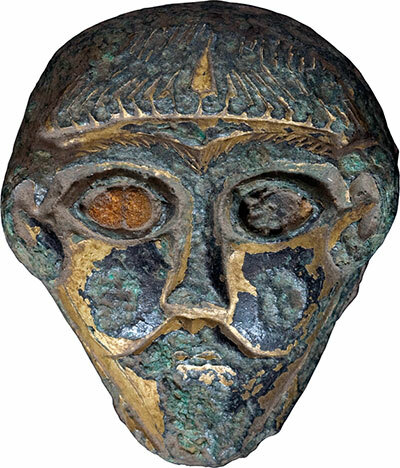 Weights played an important role in Viking trading. The weights made it possible to value items and receive the correct payment – and items of huge value were sometimes at stake. The great streams of silver that reached Scandinavia in the Viking Ages – first the Arabic silver from Russia, and later coins from Germany and Britain – were for the most part converted into silver jewellery by local craftsmen. Much of the silver arrived as coins, whether through trade, looting or as paid danegeld [a tax raised to pay tribute to the Viking raiders to save a town from being ravaged]. However, in the beginning the central element was the weight of the silver, rather than the coins themselves. This turned the balance weight scale into an important tool, along with its accompanying weights. Weights were among the most important tools in the Viking Age as they were a prerequisite for many types of trading. The weights made it possible to value items and to get the correct payment for them – the very nerve centre of business. Trading was a highly specialised profession, and items of great value were sometimes at stake. 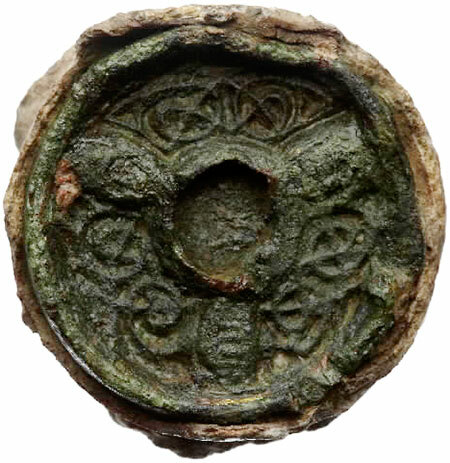 Weights are not uncommon finds from the Viking Age, and from Denmark there are at least six exemplars with their own stories to tell. The weights are made of small Irish decorative mountings that have been broken off the objects they were originally attached to. These objects included shrines, crosses and other furniture from churches and monasteries. The mountings were later turned into weights by soaking them in lead until they reached the desired weight. The mountings themselves are made of gilt bronze, and some of them are further decorated with inlaid amber. 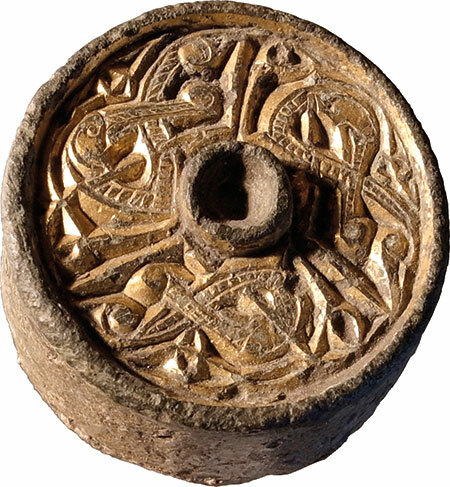 These weights, which originally formed part of prestigious church objects, ended up in Viking society where their function was somewhat different from their original purpose. Some of the mountings are circular, and that allows us to say with some certainty that they have been attached to reliquaries. We know of many of these kinds of shrines from churches and monasteries. 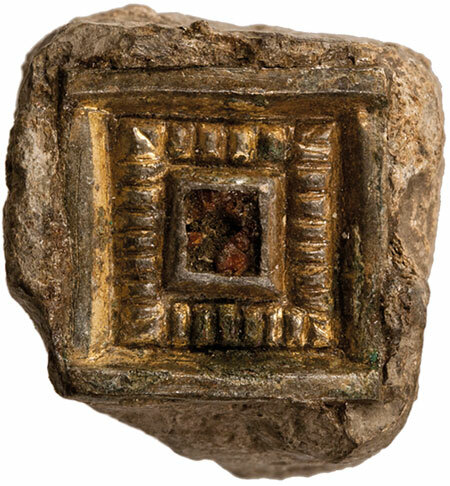 One can imagine a bunch of marauding Vikings breaking off the decorative mountings so they could bring them back home where they could be turned into jewellery or weights. The Scandinavians were, however, not the only ones to engage in this form of bad behaviour. Infighting and power struggles in Ireland could also turn the local men into plunderers. Weights with Irish mountings appear frequently in Scandinavia. 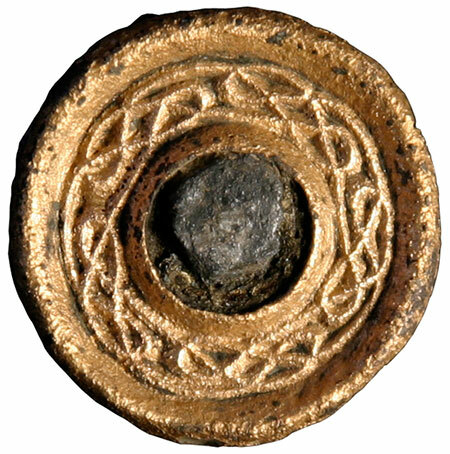 In addition to the finds in Denmark, we know of ‘Viking-related’ weights in Norway and from a large burial ground at Kilmainham/IslandBridge near Dublin, Ireland.